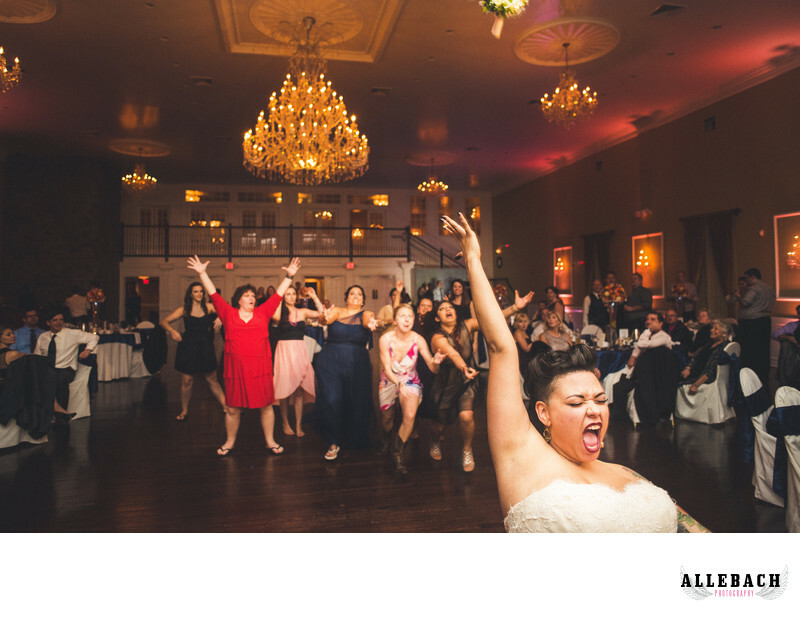 This tattooed bride tosses the bouquet in an epic moment at the Hamilton Manor in Hamilton New Jersey. The Hamilton Manor is a great location for weddings, we've photographed there a few times and love it! Contact us today at 610.539.6920 for more info. Free travel for weddings in New Jersey.